Dr. Jane Lea, MD, FRCSC, Otologist/Neurotologist, Paediatric Otolaryngologist discusses diagnosis and symptoms of vertigo. 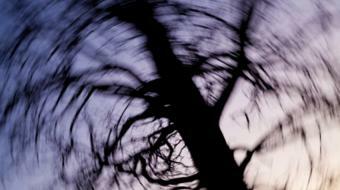 What is Vertigo and How Does it Affect You ? Dr. Jane Lea, MD, FRCSC, Otologist/Neurotologist, Paediatric Otolaryngologist discusses diagnosis and symptoms of vertigo. Vertigo is an illusion of movement in the environment, either of one's self, so the person can think they are spinning, or they feel like the environment is spinning. It's not always a spinning sensation; it could either be a rocking or a tilting sensation. But it's any unusual sensation of movement that patients experience, despite being perfectly still. Vertigo has such a long differential, meaning there's so many different things that can cause it. The ear is only one part of that. And, within the ear, there's more than 20 different diagnoses that can cause vertigo. The most common one is something called benign paroxysmal positioning vertigo. That's when little stones get lost in the ear. And, essentially, what it does is it tricks your brain into thinking you're moving when you're not. Patients will typically have a sensation of spinning that lasts several seconds, less than a minute, and it's usually provoked by certain movements, such as rolling in bed, reaching up to grab something from a cupboard, or bending down to pick something up. Vertigo is often interpreted by people in different ways. So most patients will come in, complaining of dizziness. When you actually get to the root cause of what dizziness means to them, it's a million different things, from lightheadedness; it can be a spinning or tilting sensation; sometimes, it's a drunk sensation or a tilting sensation. You really have to get to the heart of the matter to know if it's actually coming from the ear or not. On most occasions, we can tell, based on what the patient tells us or just on history in talking to the patient, whether it's actually coming from the ear or not. There are so many different causes of vertigo that are related to the ear. A couple of common examples is Ménière's disease; there's also something called labyrinthitis; vestibular neuritis; superior canal dehiscence; there's also migraine-associated dizziness, which is a new entity; and then some rare things that can cause it, such as a perilymphatic fistula. 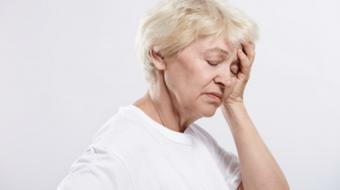 Vertigo and dizziness can be caused by more serious things. Some of it is central, such as a problem in the brain. Sometimes, it's actually related to the heart, and a cardiologist is best to see you. If you do have symptoms of dizziness or vertigo or any hallucination of movement, it's important you see your family physician. What is Vertigo And How It Can Be Treated by a Physiotherapist?